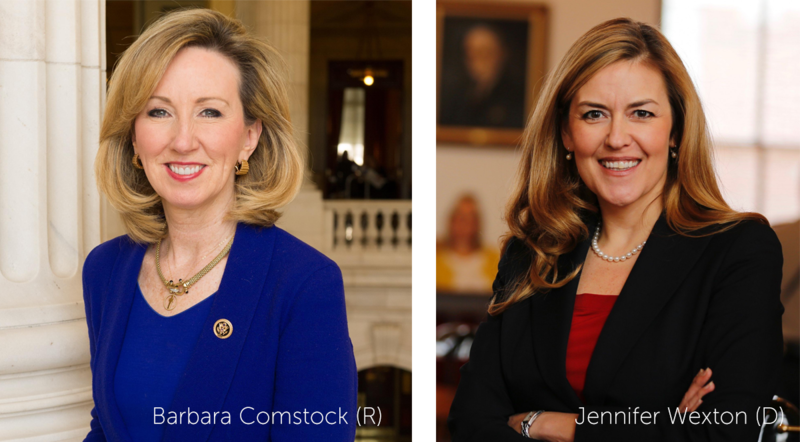 Incumbent U.S. Representative Barbara Comstock won the Republican primary with 28,274 votes (60,7%) beating challenger, Shak Hill’s 18,301 votes (39.3%). Sen. Jennifer Wexton won the Democratic primary with 22,530 votes (41.8%). Allison Friedman came in second with 12,362 votes (23%). In addition to the U.S. House election, Virginia voters selected Corey Stewart as the Republican nominee to face incumbent Tim Kaine (D) in this November’s U.S. Senate election.